“Direct to consumer” genetics tests have soared in popularity in recent years as the cost of genetics sequencing has plummeted. AncestryDNA, Helix, and 23andMe are some of the companies offering the tests. But 23andMe is the only one with approval from the Food and Drug Administration to include information about breast-cancer risk based on three mutations on the BRCA 1 and 2 genes. Experts say a “negative” result on 23andMe’s test may be give some people a false sense of security that they are not at risk for the disease. The eyes may be the windows to the soul, but spit is increasingly the portal to your health. The consumer genetics company 23andMe recently got a green light from the US Food and Drug Administration to include information on breast-cancer risk in its online customer reports, based on screening for three of the multiple genetic mutations linked to the disease. But the new test could be dangerously misleading, according to several genetics experts in the industry who spoke with Business Insider about the new test, released this week. 23andMe is one of a handful of new companies offering spit-in-a-tube genetics tests that don’t require a doctor, also known as direct-to-consumer genetic testing. The tests have soared in popularity in recent years as the cost of genetics sequencing has plummeted. 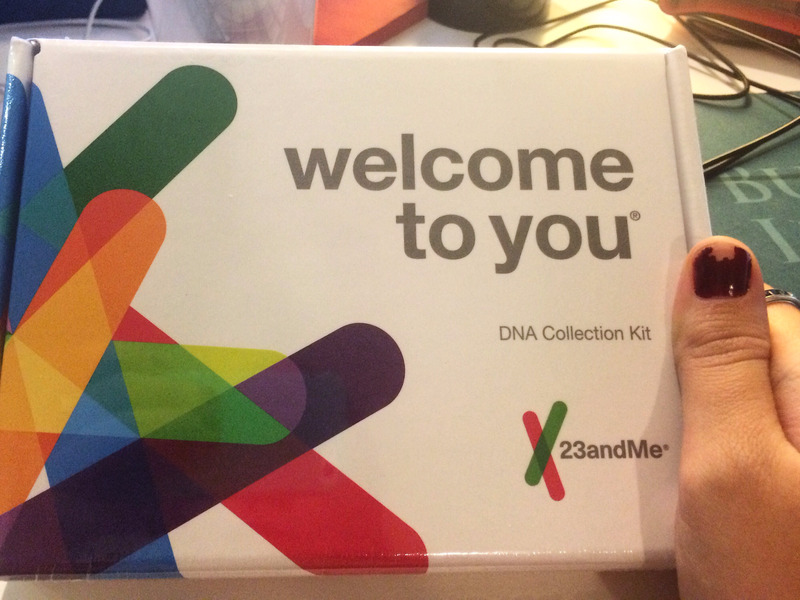 According to 23andMe, the company has taken multiple steps to ensure that customers do not misinterpret their results. Still, experts say many people could be misled because they fail to read the so-called fine print. The problem with 23andMe’s new test is simple, according to John Witte, the program leader for the cancer genetics program at the University of California at San Francisco. If you do 23andMe’s most recent genetics test and come up “negative” for the three cancer-linked mutations it screens for, you may believe your cancer risk is either low or nonexistent. Despite all those warnings, Witte and other experts believe the test could still be troublesome – especially for people who don’t thoroughly read all of that information. 23andMe’s latest test, which will be available to customers in the coming weeks, reveals whether you have a mutation on two genes that have been found to be closely linked to breast and ovarian cancer – also known as the BRCA genes. The actress Angelina Jolie brought public awareness to the mutations when she made the decision to have her breasts and ovaries removed after testing positive for the BRCA1 mutation. The problem with a genetics report coming without accompanying information from a doctor or genetic counselor, experts say, is that testing positive or negative for the mutations doesn’t reveal whether you’ll get breast cancer. It is merely one of several factors, including things like family history, ancestry, and lifestyle, that ultimately determine the development of the disease. To understand the next steps you should take, you should have a physician or a genetics counselor at hand, Witte said. Jolie did not make the decision to have her breasts and ovaries removed solely because she carried the BRCA1 gene mutation, which interferes with how genes – the blueprint for the proteins that make up cells – function. As she wrote in a 2015 essay for The New York Times, Jolie also had a family history of breast cancer, and that strongly influenced her choice. Normally, BRCA genes function as safeguards against cancer. They protect cells from growing out of control and developing into the disease. Healthy BRCA genes repair genetic errors that can occur when cells multiply, for example, which is why an improperly functioning or mutated BRCA gene – though rare among the general population – can sharply increase cancer risk. It’s the job of a physician or genetic counselor to walk through all of this dense, complicated information with a patient. Because BRCA mutations are so rare among the general population, 23andMe’s new test holds real value only for people with Ashkenazi Jewish heritage, Pamela Munster, a professor of oncology at the University of California at San Francisco who is a coleader of the Center for BRCA Research, said in an email. For people with Ashkenazi Jewish heritage, the chances of inheriting the mutation are 10 times as high as they are for the general population, of whom only 0.25% have the mutation. “If you’re Ashkenazi Jewish, those are the most common ones for that population, but I don’t know that that distinction is going to come through to the average person,” Witte said. The new test does not address breast-cancer risk variants that are unusually common among members of other populations, such as people with Latino/Latina heritage, Witte added.